I accidentally quit Chrome; I'd like to be sure that I can get back all the tabs that were open. (I'm typing this from Safari). I've read that it should be possible to get them back via Recent Tabs, but I'd like to find the Current Session/Current Tabs files and back them up elsewhere, before trying to reopen Chrome, just in case. I'm using OSX Yosemite 10.10.4 and the latest Chrome. Where else should I look for Chrome User Data? Not the answer you're looking for? Browse other questions tagged macos google-chrome osx-yosemite or ask your own question. Copy Chrome Profile from PC to Mac? 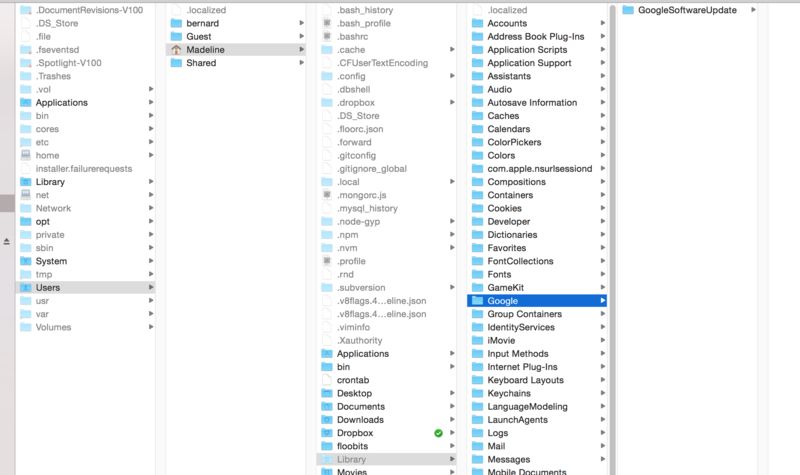 Which folder Chrome stores my history on Mac?